Bry's recommendations include banning them from the boardwalk and beach areas in the summer. SAN DIEGO — San Diego CIty Council President Pro Tem Barbara Bry wants the city to crack down on electric scooters. Her recommendations include banning them from the boardwalk and beach areas in the summer. Council member Bry says she is also not pleased with a new state law that allows adult riders to get on scooters without a helmet. Mayor Faulconer has proposed new rules for electric scooters which are heading to the council for a vote. Those rules include reducing speed limits to as low as 3 mph in certain areas and better signage on the scooters so riders know it’s illegal to use them on sidewalks. Two scooter riders have recently been killed in San Diego county, including a tourist last month in downtown. SAN DIEGO (CNS) - San Diego Mayor Kevin Faulconer released a proposal on Thursday to regulate the use of dockless electric scooters and bicycles around the city. 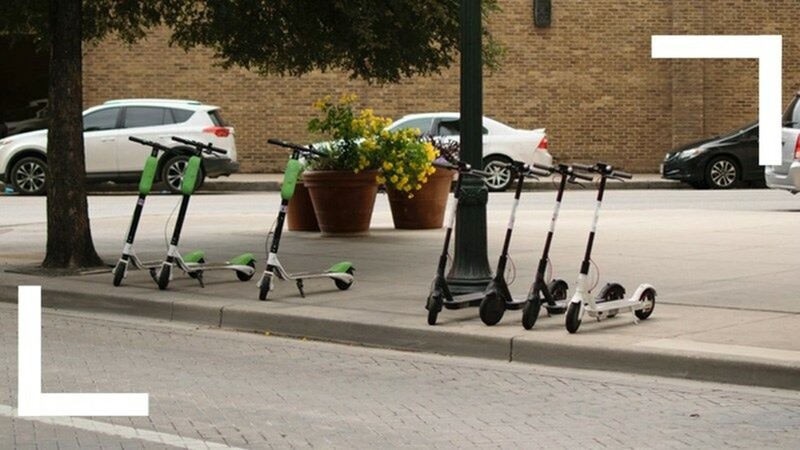 The proposed regulations would require dockless scooter companies like Bird and Lime to limit scooter speeds to as low as 3 mph in high-traffic areas and provide monthly data reports to city officials on maintenance, trip and parking information and reported incidents and hazards.